There are many stories of kings who go about their kingdom in disguise, usually as a beggar. In such cases, whatever a subject of the king should do to that “beggar” would literally be done to the king himself. This may not have happened much in real life but it did happen when God became a true human being. Whatever anyone did for or to a certain itinerant preacher in Palestine was indeed done to God. It is important to note that in neither scenario did anyone consciously see the king or see God; one saw the beggar or the itinerant preacher. The concluding parable of Matthew 25, the final teaching of Jesus in that Gospel, shows Christ as a king going about in disguise. Or does it? Neither the “sheep” who are welcomed into the Kingdom nor the “goats” who are sent to “the bad place” thought they were either serving or rejecting their heavenly king. What both the sheep and the goats saw—or failed to see—were vulnerable people who were starving or naked or in prison. This teaching has inspired a spirituality of “seeing” Jesus in vulnerable people, the rejects of society, the ones who are normally seen as the “goats,” if seen at all. But what is at stake is seeing the people, seeing their vulnerability, and showing one has seen them by serving them. After St. Martin had famously cut his cloak in half to give half to a freezing man, he had a dream of Jesus wearing that half of the cloak. But at the time, what Martin saw was the freezing man, and that was enough. In his new book Stranger God: Meeting Jesus in Disguise, the therapist Richard Beck explores the ways of seeing and not seeing vulnerable people. He suggests that Jesus is prodding us to widen our affections beyond the friends and family we are comfortable with and move beyond our comfort zones. Beck covers several obstacles to such expansion, among them disgust, contempt and fear. Then comes the rub: how do we expand our affections? Beck searched through many books on spirituality for an answer until he came across the teaching of the Little Way” in the writings of St. Thérèse of Lisieux. Beck says that this “little way” seems simple until one tries it. The “little way” begins with noticing. Thérèse says that she noticed that some sisters in her Carmelite convent were saintly and popular and other sisters were difficult and ignored as much as possible: a separation of sheep and goats. Thérèse then had to move beyond her comfort zone and seek out the neglected, difficult sisters. It happens that Fr. Anthony, my novice master, taught us the “little way” of St. Thérèse as a means of teaching us how to live the Benedictine life which also depends on attending to the same details of everyday life in community. I particularly remember Fr. Anthony’s reading about Thérèse pushing the wheelchair of a crabby sister who constantly complained about every little bump in the way. When Benedict instructs us to pay particular attention to the sick and the poor in reference to Matthew 25, Benedict is telling us that being obedient to Christ entails being obedient to the needs of vulnerable people. It has been a couple of bittersweet days of memories since getting the news of René Girard’s death. I have the feeling that many of us are cybernetically sitting around the fire sharing memories. Here are some of mine. For many years, pretty much ever since I became a Benedictine monk (Episcopalian, not Roman Catholic) in 1972, I fretted about the close proximity of religion and violence. Given the teachings of Buddha, Jesus, Lao Tze and others, it didn’t make sense. 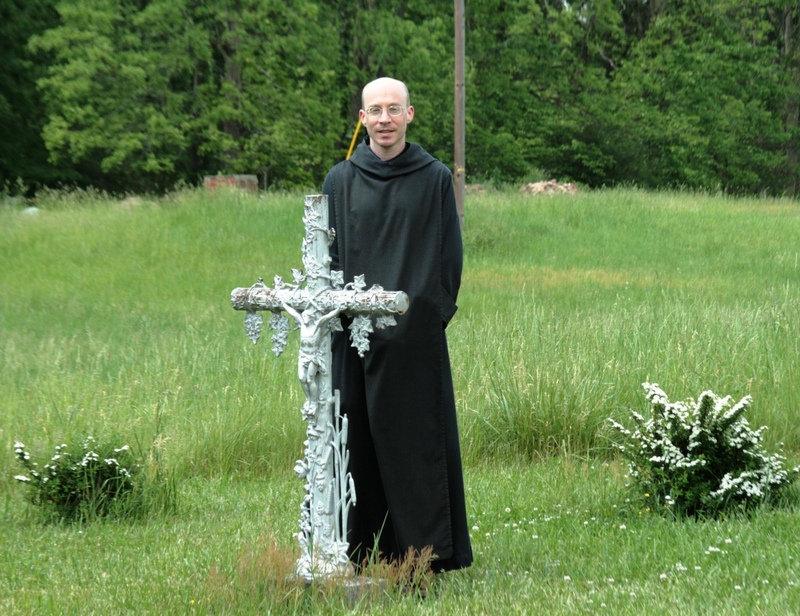 Thomas Merton’s polemics against violence written from his hermitage at Gethsemane Abbey in Kentucky inspired me and assured me I was fretting about something worth fretting about. This concern eventually led me to René Girard. It took a few years and the help of others such as James Williams to realize that Girard provides the most cogent hermeneutic for understanding scripture as the unveiling of a loving, nonviolent God. More important, his anthropological insights impressed me with their explanatory power as to why religion had been connected with violence from the start and why it still happens. As a sidelight, during the 80’s, I was searching for a sense of direction as to how I was to evaluate postmodern thought, especially deconstruction as a Benedictine. 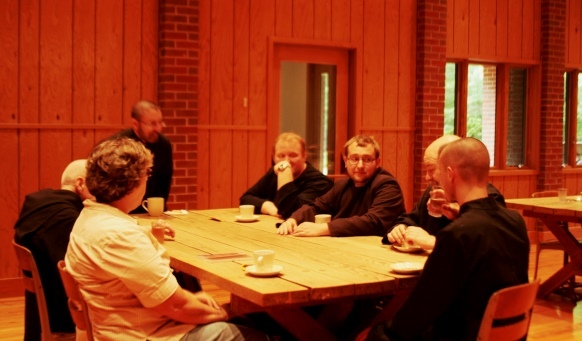 I talked to the abbot of St. John’s Collegeville about visiting to meet with some of the Benedictine professors in the college, but I dropped that when I grasped Girard enough to realize that he gave me the sense of direction I was looking for and that many companions on the way were at hand. A couple of times, I heard Girard put that sense of direction in a nutshell when he told deconstructionist type thinkers that the solid reality under the deconstructive flux is the reality of the victim. I first met René close to the turn of the millennium in San Francisco at a meeting of the AAR/SBL when he read what has turned out to be one of his most important papers: “Are the Gospels Mythical?” I was in the process of writing a lead review essay on Girard for the Anglican Theological Review and I was hoping to meet René and ask him some questions. (See Violence and the Kingdom of God.) I got more than I expected. I was introduced to René after the lecture by James Williams, who had helped me with logistics for getting to the meeting, and I was invited to lunch along with several other people. I was placed across the table from René so that could discuss his ideas and get the clarifications I was looking for. When a question was outside his areas of expertise, he referred me to others who could help me. Over the years, as I managed to attend several meetings of COV&R while René was still at large, I had stimulating conversations with him, some short, some longer. There was a lot of friendly competition to get bits of time with René but he was amazingly approachable for a person who had become an intellectual leader for so many and one could talk to him in a relaxed way because that is how he talked. Inspired by Girard and my Benedictine tradition, I wrote a book called Tools for Peace: The Spiritual Craft of St. Benedict and René Girard. I sent an advanced draft in manuscript to him for comments. When I received a letter a month later, I thought it was an amazingly prompt response. Yet René apologized for the delay, explaining that he had just gotten home from Avignon and he read the MS. first thing. His comments were generous and helpful. I came to see, not surprisingly, that there was nothing unique in the way he treated me; it’s the way I’ve seen him treat everybody. I have seen him encourage everybody who works with his ideas whether or not he is personally sympathetic to their direction. I get the feeling that he knew his theory was much greater than him and it wasn’t anything he “owned” by a long shot. 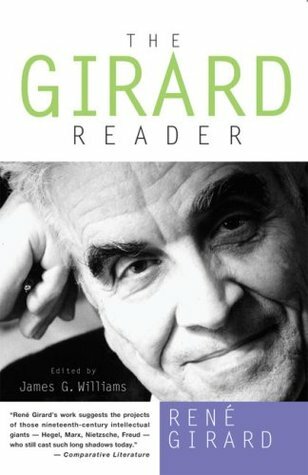 Along the way, I realized that Girard does not have followers; he has colleagues. That’s how he treated people. And not only colleagues, but friends. In his Dialogues, Pope Gregory I said that Benedict could not “otherwise teach than he himself lived.” Taking Gregory at his word, I will celebrate our holy father Benedict by drawing out of the Rule what we can glean about the kind of man he was. The way Benedict carefully outlined the way the Divine Office should be done, listing what psalms should be done when, shows an ordered man who appreciated discipline and having everything and everyone in place. We see the same care in the way Benedict outlined the daily schedule for a balanced life. However, Benedict showed flexibility when he said that one can rearrange the office psalms if that should be deemed expedient. Although he wanted his monastics to be on time for the office, he cut some slack by allowing them to come before the Venite (Psalm 95) is recited, for which reason it should be said as slowly as possible. Although Benedict disapproved of boisterous laughter, he had a dry wit. Benedict was anxious about infractions of the Rule such as hording unauthorized possessions. He cut out loopholes by compulsively listing everything he could think of that a monastic might try to keep on the sly, understanding the favorite monastic evasion: “There’s nothing in the Rule against it.” The way he went on about disciplining a dean, a priest, or the prior of the monastery who got puffed up suggests that Benedict had deep fears about what power and responsibility could do to a person. The fearful admonitions to the abbot to remember how accountable he is to God for the misdeeds of his monastics suggests that he was anxious over his own weaknesses and potential for misusing power. For all his exasperation for delinquent monastics, the convoluted nature of his chapters on punishment show the problem to be one for agonizing rather than self-righteous smugness. Punishments should not be vindictive but remedial, ending in reconciliation to the community if at all possible. In quoting the parable of the Good Shepherd who leaves the ninety-nine sheep to after the stray he showed a deep solicitude for those who had fallen out of line. 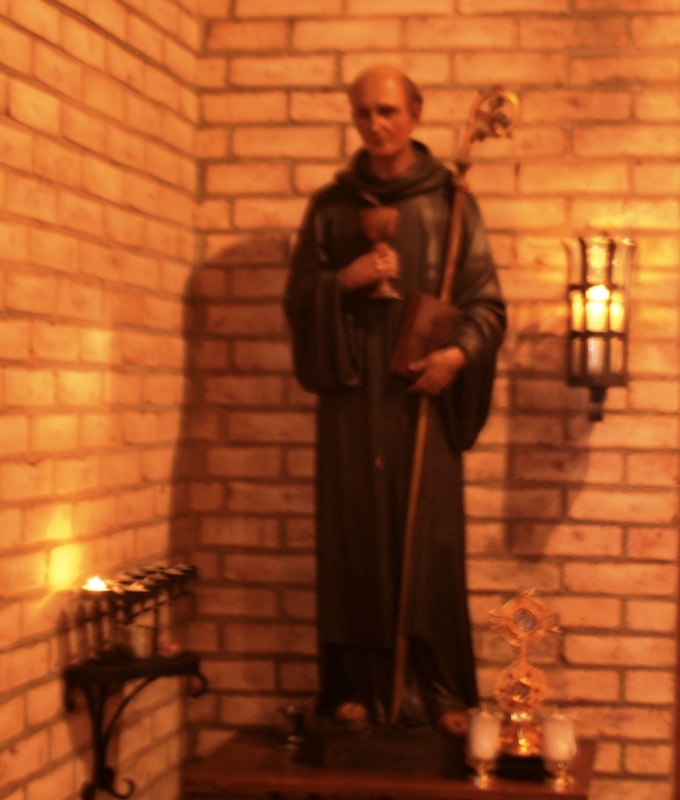 Benedict had a flexible sense of fairness, believing that the abbot should treat each monastic appropriately, cajoling one, and scolding another, depending on the personality. In general, he really cared about the individuality of each person. He made a point of listening to what each member of the community had to say at a meeting, even the youngest person. He also wanted his monastics to share frankly their heavy burdens and ask for relief even if, under some circumstances, that might not be possible. In general, Benedict had compassion and concern for the weaknesses of other people, surely out of an awareness of his own weaknesses. The weaknesses of the sick were of special care for Benedict and it was important to him that they were properly looked after. He felt the same way about guests who were also vulnerable, especially those who were poor. His concern that jobs be done competently was closely tied to his concern for the care of others, especially the weak. His worries over the abuse of power were motivated at least in part by the need to protect the vulnerable from the fallout of power plays in the monastery. Late in life, Benedict’s compassionate concern for weaknesses deepened. In the second chapter on the abbot at the end of the Rule, surely a later addition, he quotes Isaiah’s words that the bruised reed should not be crushed and Jacob’s words that he shouldn’t drive his flocks too hard in one day. He warns against rubbing the vessel too hard so that it breaks. While in his younger years Benedict seems to have wanted to be feared at least a little, in the later chapter, Benedict greatly prefers to be loved rather than feared. This looks a lot more like groveling before the King of Siam then does holding fast to the memory of God’s presence, but obeying under unjust conditions is what Jesus did during his earthly life, most of all during his last days. This step isn’t about bowing imperious rulers; it is about bowing to everybody, including those we consider the most despicable of human beings. Jesus did it. What about us? When we are being ill-treated, we console ourselves with the thought that at least we are better than those who mistreat us. But that is not what Jesus did. Jesus treated even Pontius Pilate and Caiaphas with respect, although the guards of the high priest didn’t see it that way. This consideration adds a deeper perspective to the first step of humility that involves being ever mindful of being in God’s presence. There is a bit of a Big Brother is watching us about God’s perpetual mindfulness of everything we do and think, but the very God whose presence we should always remember is the God who accepted the meanest treatment at the hands of human beings like us. Doesn’t sound like Big Brother’s style of watching to me. We are not easily content with “the lowest and most menial treatment.” We have a tendency to think that the world owes us the good things in life. If and when we don’t get them, we become highly resentful to everybody we hold responsible for what we don’t get. If and when we do get some of the good things in life, we think we only got what was coming to us. Of course, most of us find ourselves having to take the bad along with the good and we are resentful only most of the time. This is the case even if mathematically we get good things more often than not. Bad things always make stronger impressions on us. In short, we are the ones who act like the King of Siam, not God. When we stop expecting the world to give us nothing but the good things in life and become more concerned with those who don’t, and often they don’t have good things because of our inordinate greed, then we become more grateful for what we actually have. Gratitude has a lot to do with humility. In these middle steps of humility, hard as they are to embrace, we come to grips with the incomprehensible love God has for us. Christ didn’t take time to dwell on how much more righteous he was than those who taunted him and nailed him on the cross. Jesus was too busy thinking about bringing even these people into his kingdom to have room in his heart for anything else. So it is that at the bottom of humility, we find divine love. Benedict hints at the presence of God’s love that we experience within us when we let go of our pride when he says that, by following these steps, we “arrive at that perfect love of God which casts out fear.” At this level of humility, there is no dread of God because we have dropped our projections on God and have become free within the depths of God’s Desire. I discuss the chapter on Humility in the Rule of Benedict at length in my book Tools for Peace. Humility tends to evoke images of groveling before potentates, as when Anna was ordered to bow before the King of Siam. Such popular images project human images on God that have nothing to do with Jesus who was more interested in finding the lost sheep of Israel than having anybody bow down to him. The first and most fundamental step of humility for St. Benedict is that we keep “the fear of God always before [our] eyes and never forget it.” That is, before humility is anything else, humility is living in the presence of God. This is indeed something very different from groveling in the dust. This step reminds us of our constant need for God and also of God’s sustained presence in our lives. It is precisely in our desires that our need for others shows itself. We often think of needing others to fulfill our desires but it is really more a case of needing others to desire at all as René Girard has demonstrated. (See Human See, human want) We tend to deny our need for the desires of others and to claim these desires for ourselves, which is an act of serious pride. Humility involves, then, accepting the interaction of our desires with the desires of others and accepting our mutual need of each other’s desires. But as this first step of humility teaches us, we most need to be in tune with our need for God’s Desire. We tend to forget not only God’s presence but, even more seriously, God’s Desire when we are immersed in the desires of other people. Our involvement with the desires of other people tends to become rivalrous, which draws us further from God’s Desire. The more we are grounded in God’s Desire and never forget it, the more constructive we are apt to be in the way we act in terms of the desires of others. For example, we are freer to treat others with respect and courtesy when we don’t need to “win” any human encounters because we are grounded in God’s Desire that has nothing to do with winning but has everything to do with providing for others. The inner attitude of living in the memory of God’s presence is balanced in the twelfth and final step of humility with the external deportment that corresponds with the former. 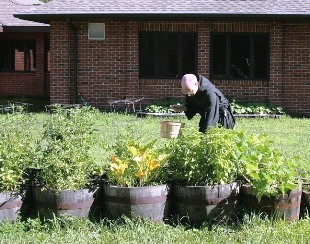 Humility should be noticeable whether one is “at the Work of God, in the oratory, the monastery or the garden, on a journey or in the field, or anywhere else.” In other words, at all times and all places. Once again we have outer action and inner attitude reinforcing one another just as they should during worship. The last thing Benedict would want would be for someone to put on an act. When we let our actions flow out from right inner attitudes, then these actions are natural with no sense of putting on airs. The more one is mindful of living in God’s presence, the more natural the deportment of humility will be. Moreover, paying attention to this outward deportment does tend to have a humbling effect that strengthens the right inner attitude.